Hello Clique Kits fans! Erica here with you today and I am excited to introduce you to one of our guest designers Ally Miller aka FiloAlly. 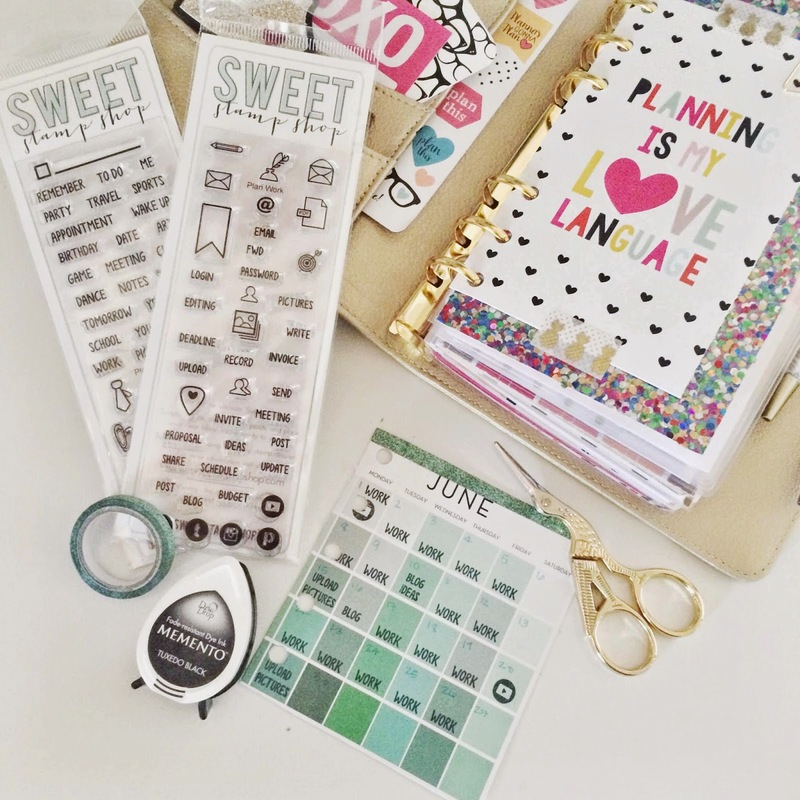 Ally is well known in the planner community and you will find her Instagram filled with eye catching photos of the cutest planner products! We just had to invite her to be our guest and send her the Agenda 2.0 kit! She has been sharing posts on her IG with our Agenda 2.0 kit and today she has a fun blog post for you so sit back relax and say HELLO to Ally! Hey everybody! How exciting is this? I’m so excited and thankful that I get to be a guest designer for the super fun company Clique Kits! 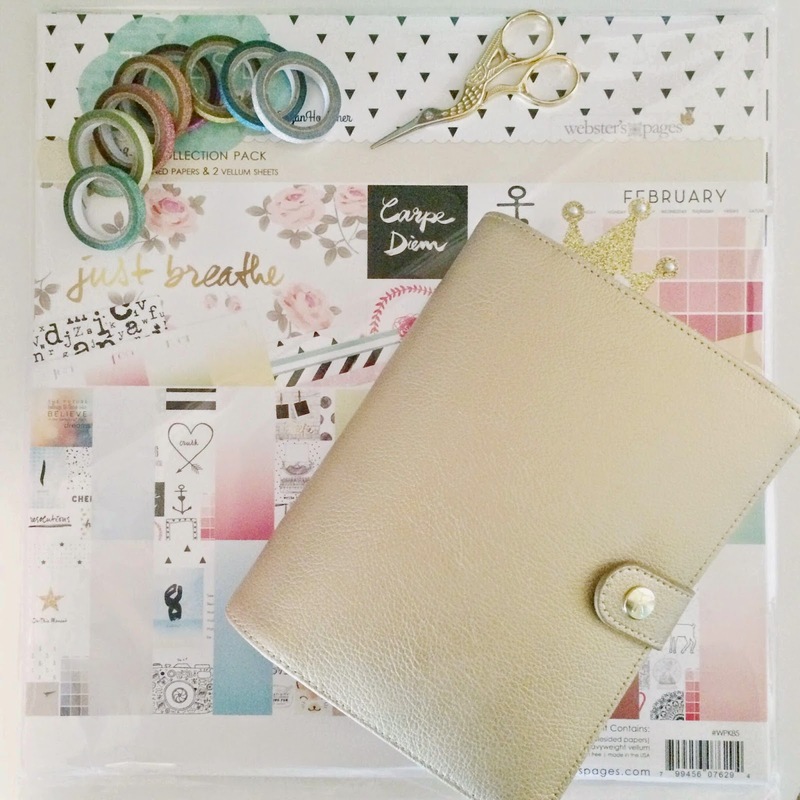 I’m here to tell you how I use the agenda 2.0 kit monthly kit in my planner. First and foremost, I have used the items from the Agenda 2.0 kit in a few of my planners. Everything packed into my kit was so adorable I must say, but some of my favorite items that were included were the Websters Pages full collection papers as well as the glitter washi tape. I use washi tape every week when I decorate my planner pages and I’m obsessed with glitter, so it was perfect for me. I also got really creative with the monthly section that was included in the Websters Pages paper. I cut the monthly part out of the sheet and thought my stamps from Sweet Stamp Shop would fit perfectly in the squares, and they did! I stamped my work schedule and social media posts that I need to get done for the month of June. Planning in advance always keeps me organized. You could get really creative with this using any stamps, stickers or washi tape you may have. It’s all about what works best for you and what you prefer. When I stamp, I use a clear acrylic block that you can pick up at almost any craft store. I use mememto ink and you can also pick those up at any craft store as well as online.You have to be careful with memento ink because they are dye inks and they can bleed through. I tend not to press to hard to prevent that from happening, however the Websters Pages scrapbooking paper is so thick that I have NEVER had a problem with that! I also think it’s important to take care of your stamps and clean them properly. I use scent free baby wipes from Target and they keep my stamps nice and clean. I already have a monthly section in my medium gold kikkik planner that I use a lot, so I thought this sheet would fit perfectly in one of my smaller planners. I am currently using my small pocket size planner to keep track of blogging ideas and social media, so this is perfect! When I finished up stamping, I hole punched it with my Rapesco Hole Punch and added a cute piece of sparky washi tape to match. I did have to trim it a little bit to fit and now it fits perfect in my planner. I hope you enjoyed this post and if you have any questions please let me know! I’m so excited to be sharing this with all of you and I hope you learned some tips and tricks. I also have a discount code for any of you who would love to get started with Clique Kits and you can pick up the Agenda 2.0 kit HERE in the Clique Kits shop! for 10% off of your purchase! Categories: Prom Committee, Student of the Month | Tags: agenda 2.0 kit, Ally Miller, Guest Designer, planner, planner kit, scrapbooking, Websters Pages | Permalink. Awesome. Love how you decorated that sheet with the stamps! Great idea! Love how you did your planner, so cute!!! Love how you used the kit! Cute planner! Such a cute planner! love how you decorate it! 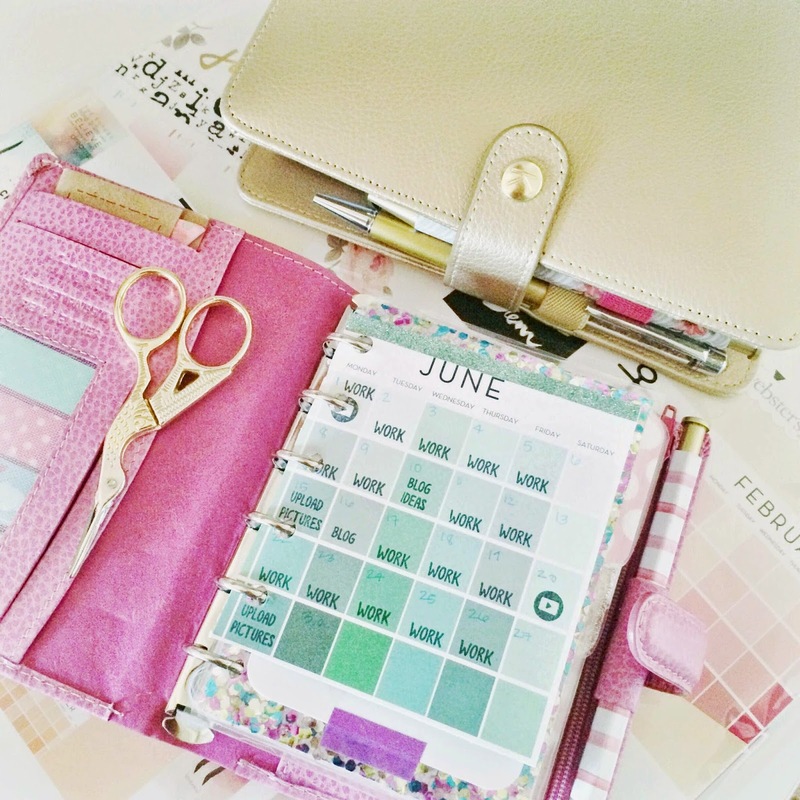 Very fun planner…too much of that four letter word on your June calendar (WORK). Thanks for sharing!